Kate recounts in wonderful, candid detail her journey of labour and the birth of her first child. Her birth team consisted of her husband Gavin, her doula Lesley, and Clearlight (who offers her perspective as well after Kate’s story). Veronica Drummond was born at 8:30 pm on April 4th. She weighed 7 pounds 2 oz. My birth story begins several days before the baby actually arrived. My due date was the 24th of March, and although I had been told at the beginning of March that I was "good to go" and had been experiencing plenty of false labour, a week after my due date, she still wasn’t coming!! The pressure was on to induce. In fact, my doctor scheduled me for an induction even though I told him that I wanted to wait. I was really set on letting the baby come in its own time. My husband and I had to fight to get a week reprieve. It was stressful and exhausting, but we eventually got our way. We were scheduled for yet another battery of tests the morning of April the 4th (41 weeks +4 days) and I woke up that morning at 4 am with cramps. They were strong enough so that I couldn’t sleep through them, or even stay lying down. I was desperately hoping that they weren’t going to go away!! Ironically, my husband snored throughout this episode, even though for the previous month, whenever I got out of bed, he would ask "are you ok?" By 8 am, I thought that this may be the day. We called the hospital to ask whether we should still come in for testing, and they said yes, so off we went. All the test results were great and a doctor checked me and said that I was effaced and 1 cm dilated. She thought that baby would come within the next few days. So we went food shopping... I was still having cramps, but they were manageable. By the time we got home, around 11 am, we started timing them, and they were coming every 12 to 20 minutes. We called our Doula, Lesley Everest, and she said to keep her updated. We were pretty excited. It FINALLY seemed like it was going to happen. One of my goals for labour was to laugh (! ), so we tried watching my favorite Woody Allen film, but it wasn't appropriate, so we put on the 'Return of the Pink Panther' instead. By that point however, I couldn’t really concentrate on the film. I started vocal toning to ease the contractions. I found that I had to stand through them while bending at the waist and holding onto my husband for support. Rhythmic rocking helped, too. They started coming on closer and closer until they were 4 to 5 minutes apart. I think it was then that I got an inkling that this might not be that easy!! We called Lesley again and she offered to come over. I was staring to feel a little scared at that point and was really happy to have the extra support. At about three, Lesley arrived with her assistant, Clearlight! I didn’t want to go to the hospital too early, but by 3:45, I was ready to go. I felt that things were really moving along. By the time I got to the Royal Vic and was checked, I was 4 cm and the contractions had started to reach a new level. My doctor called in a message urging me to take an epidural, but I had planned to see how far I could go without one. I think that I was checked around 5:30 and I was 7 cm, so things were progressing quite rapidly for a first time labour. In fact, the resident who checked me out actually congratulated me. I, on the other hand, was not so impressed. This was some pain. I was cursing myself for being such a fool! Natural childbirth- was I INSANE??? I was so far along though, that an epidural would have been a bad choice, and luckily, I had my birth team with their wits still about them to keep me on track. They helped me vocal tone, gave me lots of words of encouragement, and just basically kept me from losing it completely. They eventually suggested I try some laughing gas, which provided some relief and distraction. The pushing part was not that easy to figure out at first. I was so in my own bubble that I had a hard time deciphering what the nurse was asking me to do. After 40 minutes of pushing, for reasons that I am still vague about, the doctor performed an episiotomy and used forceps to deliver the baby. I was so concentrated on pushing that I hadn't realised that she had come out until Lesley told me to open my eyes, that my baby was on my chest! That was an incredible moment, although I was a bit concerned that she was quite blue. But there was nothing to fear, however, as baby Veronica scored 9/10 on her agpar. Strangely, the most frustrating part of labour was what came after: waiting forty minutes for the doctors to sew me up (thankfully they did a great job). I had a strong case of the shakes and so I couldn’t hold Veronica. Luckily, after the trauma of a forceps delivery, she had plenty of supportive hands to hold her. I have a wonderful image of Clearlight cradling and singing to her. Veronica is now doing great. She ‘s a champ breastfeeder and is looking more and more like a pudgy little buddha everyday. My recovery was really quick and relatively painless. I only took a few tylenol and had no pain going to the washroom. And, best of all, I can no longer recall what the pain actually felt like. The whole experience seems almost like a dream... until she wakes up crying at four a.m.! I had the good fortune of being invited to accompany Kate, her husband Gavin, and their doula Lesley during Kate’s labour and delivery. Gavin, Lesley and I encircled her with our bodies and our intentions of light, offering massage and touch, words of encouragement, and heartfelt reminders of how amazing she was doing. During Kate’s active labour, she rode the intensity of her contractions with her breath, using strong, deep vocal toning. At times, she sat on the birthing ball, other times she leaned into her husband Gavin for support. I was very blessed to be a part of this circle of light, helping to hold the space for Kate’s journey into the mystery and power of birth. Kate wanted to fully experience this profound transition, and this is exactly what she did. She allowed the waves of intensity to move through her, as her body did what her body knew exactly what to do, labouring, and opening for the birth of their daughter’s arrival into this world. Gavin’s presence was unyielding, and his love for Kate evident and beautiful. In a sense he was labouring with Kate  fully supportive and completely connected to Kate. Lesley was an anchor for us all, and in her experience and grounded kindness, she reminded Kate that what she was experiencing was perfectly natural and normal, including the most challenging moments. Many of the nurses on staff knew Lesley from previous births, and were happy to see she was there to support Kate and Gavin. Lesley knew all the ins and outs, Kate’s options, and the support available at the center. The nurses visited occasionally, and I was thankful Lesley was there in her calm and reassuring presence to provide a continued support. 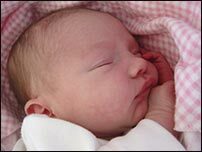 The doctor who delivered baby Veronica did so in the way he felt was best, but as Kate reflected in her birth story, it was a reminder that having a doctor (and/or birth place) that is supportive of one’s own philosophy and intentions of childbirth can be so helpful, and so important. Baby Veronica was healthy, beautiful and absolutely precious when she was born. Holding Veronica, I had a similar feeling that I have had holding other newborns, a sense that this small person carries the infinite wisdom that as adults we tend to forget we have, and an immediate connection with the source of peace and well-being from which we are all born and that remains the ground of our being. I thank Kate and Gavin for their generosity in welcoming me to the birth of their daughter, and Lesley for her generosity and shared wisdom, as well as her service to this couple and countless others  tirelessly promoting positive childbirth experiences.